18inch Large Dragon Kukri is primarily made for display and religious ceremonies; but it can be a lethal combat khukuri.. 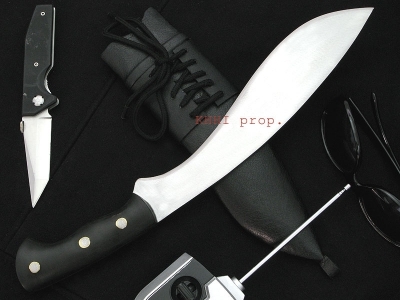 The blade on this Kukri is 18" long and shaped resembles the 'BhojPure style' and includes two accompanying knives. As this Kukri is of a large size the knives also are larger than normal, with a blade of approx 4". The handles on all of them are made from Rosewood, with Brass fittings. The scabbard is wood covered with Water Buffalo Leather with Brass fittings. 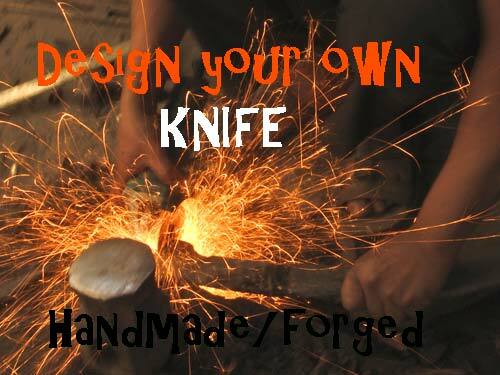 All the forging and making of this Kukri is done by hand and using only conventional / domestic tools. 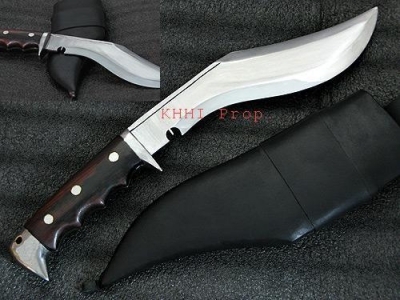 It takes three men one whole day to finish this Kukri. 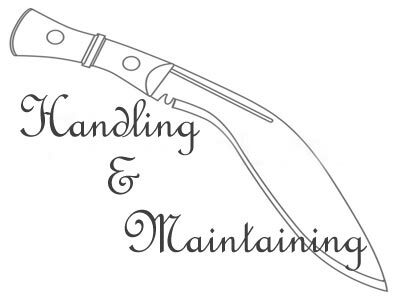 The blade is then engraved by hand with a Dragon on both sides, using only basic tools (you can watch our video below of the craftsman engraving a blade). 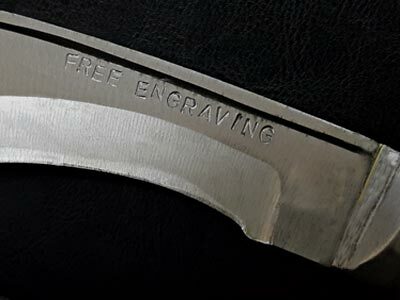 This engraving normally takes a day on a standard blade, so much longer on this Kukri. The craftsmen who particularly belong to the “Newars” community of Kathmandu have ancient ties with carving and making sculptures. 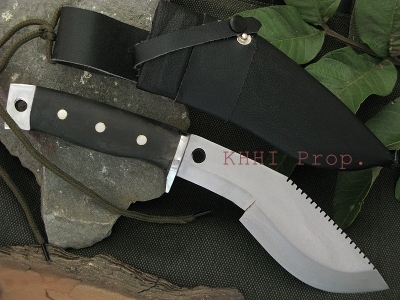 This Kukri although decorative, is still a fully usable Kukri. This is a large type of kukri used for sacrificing animals in festivals. “Dashain”, the main festival of Nepalese, which mostly falls in October. 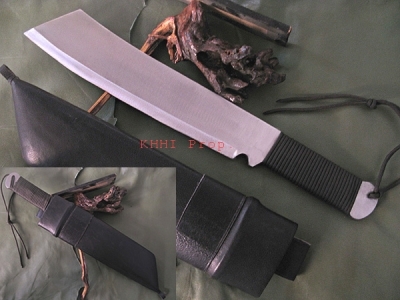 Historically speaking, 18inch Large Dragon Kukri is primarily made for display and religious ceremonies; but it can be a lethal combat khukuri; as a no.1 combat khukuri for a soldier. 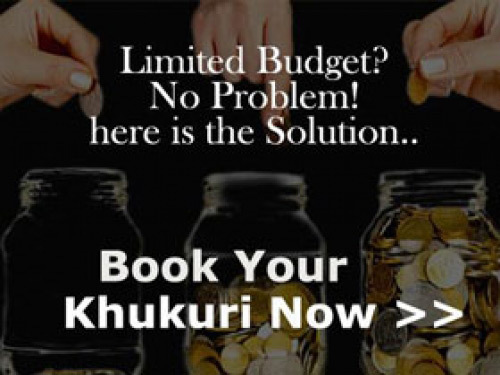 It has also been made for the honorary and distinguished people to mark a deed or one’s position. This large version of Khukuri is believed to have existed centuries back but was only realized during the Gorkha campaign of uniting Nepal as one big country in mid 1700’s. The battles witnessed excessive use of large Khukuri by Gorkhalis (Gorkha Army) which has also been documented and exhibited in the National Arsenal Museum in Kathmandu, Nepal.